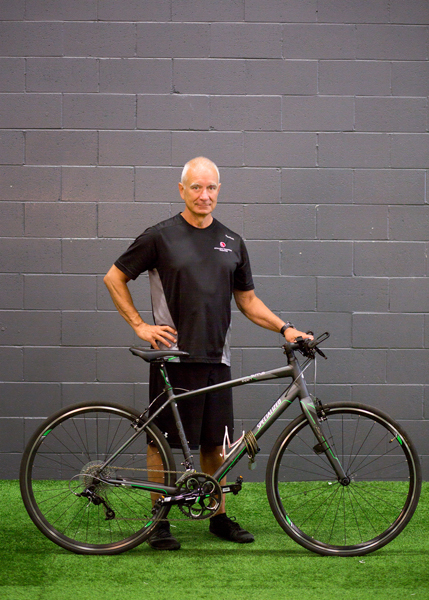 A leader and innovator in the field of athlete performance training, Richard Clark is the founder and owner of the Athlete Training Centre, which over the past 10 years has set the standard in the GTA for providing the best training environment for athletes. Richard began his coaching career while at the University of Western Ontario where he obtained his degree in Kinesiology. In the 1980’s he worked with and developed inner-city athletes in football and basketball. Richard took some of these athletes to NFL (New England Patriots) and CFL camps and negotiated contracts. In the 1990’s he coached AAA hockey in the GTHL and won back-to-back Carnation Cups with the North York Canadiens organization. Two of the players on those teams are currently in the NHL: Mark Giordano and Matt Moulson. In 2004 Richard decided act on his dream of helping athletes reach their full potential with the start of the Athlete Training Centre in the basement of his home. The ‘dungeon’ as it affectionately was called grew rapidly as word spread of the tremendous success the athlete’s were achieving. Over the years Richard learned what it takes for athletes to realize their dreams and he put his theories to work in 2005 when he named Vice President of the Milton IceHawks Jr. Richard recruited & trained that team and in the process discovered future NHL player Matt Read. That team was ranked #1 in Canada throughout the season and produced a record 8 NCAA DI scholarships. Richard repeated that success with the 2007/08 Oakville Blades Jr. team which won the Ontario Championship Dudley Hewitt Cup and participated in the Royal Bank Cup. Richard’s continual pursuit of quality and his vision of creating a facility completely dedicated to helping athletes achieve their goals was realized with the May 2014 move to the current location which is setting the standard in Ontario as the #1 state-of-the-art facility for the total development of elite athletes. In September 2014 Richard decided to launch program for adults. He believed that most adults were not achieving the results they wanted in the box gyms. He believed that if he trained adults the way the athletes trained that they would achieve unparalleled results. In the 16 months following countless adults have literally had their lives changed for the better.